I hate waste. For instance, I recycle and compost as much as I can, minimizing what goes into my black trash can. Although it has taken a while, I’m finally remembering to bring my reusable bags when shopping. And at home I constantly tweak our household systems, trying to reduce our natural gas, electricity, and water use. Having spent so much time and effort stamping out waste at home, naturally I tend to notice waste when I am out walking. Redwood City seems to be doing a good job in its own right, by upgrading street lights and signals to LEDs, by converting public athletic fields to artificial turf (thereby reducing water and fertilizer use), and by recycling water. I’ve written about Redwood City’s recycled water program before, and will do so again, but it seems safe to say that it has already been a smashing success, and soon—when the newer downtown buildings are connected to the “purple pipe” that was recently extended west of Highway 101—the City will realize even more water savings. Lately, though, as I wander up and down El Camino Real and out towards the Bay, I’ve been thinking about waste of another sort. The waste of a resource that, here in the Bay Area, at least, seems almost as precious as water: land, and the buildings that sit upon it. 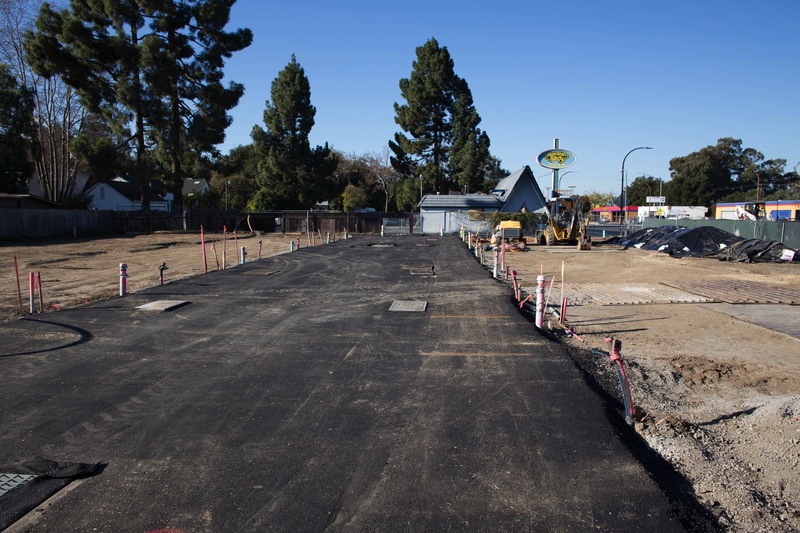 Since before I began this blog I’ve deplored the empty lot at the corner of El Camino Real and Avondale Avenue. I wrote about that lot, and the project proposed for it, almost a year and a half ago in my post A Lot to Remember. Except for an occasional use as a Christmas tree lot, this piece of prime real estate had been sitting, empty and unused, for about twenty years. Thus I got excited when, in June of 2015, a proposal for a twelve-unit condominium project was submitted to the city: surely the property would be wasted no longer. For various reasons progress on that project has been slow. These days there is a small amount of activity on site, but it is proceeding at a snail’s pace. Today the project, which at one time was supposed to be completed in late 2017, has not yet reached the stage where the foundations are formed. The developer seems to be doing whatever they can, but apparent hiccups in getting all of the needed utilities to the site continues to hold the project back. I think those problems are getting resolved, however, and soon I anticipate seeing the site buzzing with activity. In the mean time the developer has done something usually reserved for a later stage of a project like this: they’ve paved the driveway that will provide vehicular access to the twelve condominium garages. I appreciate giving the building’s owner a chance to bring the building back to life, but it is time, I think, for the City to step in and take control. Ideally they would buy the building outright and begin rebuilding as soon as possible. While doing so, if necessary, the City could be working to sell the building, perhaps to MidPen Housing or to one of the many other nonprofits that own and manage affordable projects like this. 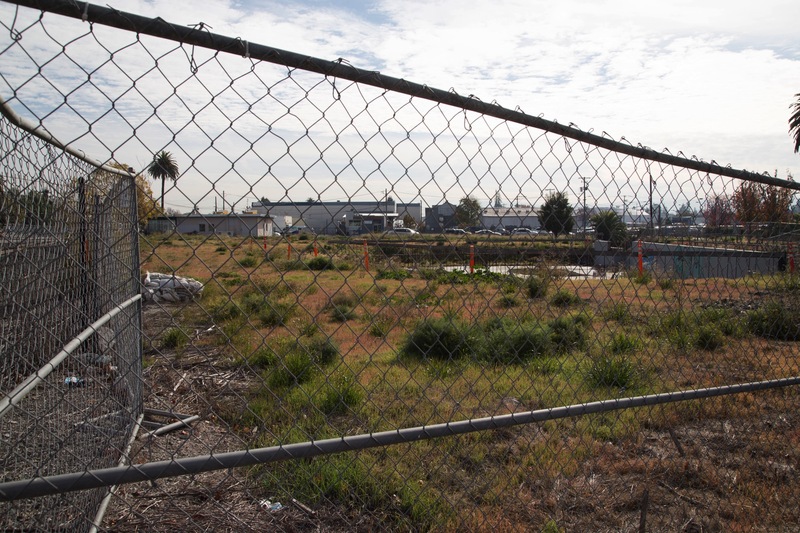 The triangular parcel along the Caltrain tracks at Maple Street (across from Main & Elm) is another piece of land that I have regarded for many years now as being wasted. This site used to house a couple of small buildings that each contained an independent business or two, including Marcelli Lighting and Chub’s Auto Repair. But in 2012 those businesses closed or relocated, and the lot was largely cleared of all development (one small building, on the corner of Main Street and Elm Street remains; it was on a separate parcel from the others and wasn’t part of the project being contemplated back then). At that time, the property owner was attempting to put a five-story, 114-bed skilled nursing facility on the site. But apparent money issues caused this project, too, to grind to a very quick halt, leaving the property largely empty. When I first learned of it I had hopes for the skilled nursing facility project, hopes that faded as the years went by. In early 2016 I heard that the City was contemplating the creation of a community garden in this part of town, likely on a smaller nearby lot. That got me thinking: why not use this large empty lot for a community garden while the property owner got their financing together? A low-impact, temporary use such as a community garden seems like a great way to make use of a property during the years that it takes to get a project designed and approved, and then financed and made ready for construction. As long as it is clear to all that the garden would be shut down at the onset of construction (with reasonable notice), why not make productive use of land that is otherwise lying fallow? In this particular case neither the nursing facility nor the nearby community garden ever materialized. For five and a half years now, this particular parcel has been sitting idle—entirely wasted, in my view. The proposal has yet to work its way through the City machinery. Assuming that the project is approved (which is not a sure thing, especially given the recent reshuffle within our City Council), construction plans would have to be drawn up and permits obtained. Altogether we’re probably looking at two years from now, minimum, before this project might break ground. Which means two more years of this parcel sitting idle. Surely we could put it to better use in the intervening time? This brings me to the two largest projects currently being proposed for Redwood City: Harbor View Place and Broadway Plaza. Jay Paul Company’s latest proposal for the site where Malibu Golf and Games, Malibu Grand Prix, Lyngso Garden Materials, and various other businesses once stood is for four seven-story office buildings, a small “amenities” building and two large parking garages. This project is easily years away from City approval, assuming a project of this magnitude can even be approved. The Malibu entertainment complex closed in August of 2013 and the site was cleared in early 2015. While I can guess at the reasons why the developer was so quick to erase all memory of the site’s former uses, I still consider it a waste to see the property sit empty, when we could have been playing miniature golf and driving go-karts for the last four and a half years, not to mention the couple of years it will take before crews could even begin to do constructive work on the property. The Broadway Plaza project is in better shape: at least they haven’t cleared the existing buildings from the site. But the shopping center at Woodside and Broadway has been sitting mostly empty for some time now, with only the CVS, a Subway sandwich shop, and a Mexican food restaurant still in operation (the Denny’s and the Jack in the Box are on independent parcels and are not part of the proposed Broadway Plaza project). What is proposed is a mix of office and for-rent apartment buildings (including 120 affordable units). 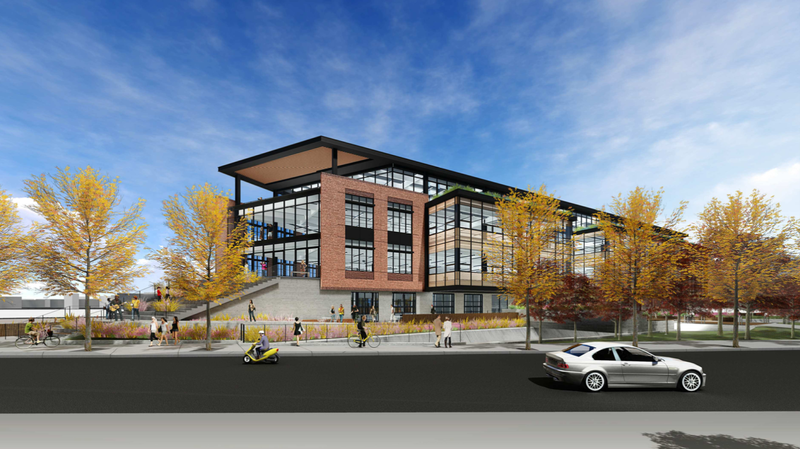 One of the residential buildings would front Broadway and would contain, on the ground level, a retail space or two and a large child care center. All parking would be in a large two-level subterranean garage. The project also includes the construction of a brand-new CVS store on a separate parcel directly across Woodside Road, replacing a two-story office building that today sits next to Smart & Final. There are other projects in a similar boat, including the old Century 12 Theatre complex out on East Bayshore Road, which, except for its use as a storage lot for the nearby auto dealers, has been sitting, untouched, since the theaters were closed in late 2008. A project has been proposed for the site, but they appear to be experiencing some challenges on the road to project consideration—much less approval—and thus I don’t expect to see much happening out there for some time to come. Or, there is the site of the approved “Greystar IV” project (1409 El Camino Real, next to the Greystar III apartments already under construction). Treadmill Outlet, Sequoia Veterinary Hospital, and a handful of other small businesses on the site moved out almost a year and a half ago. Because this project won’t get underway until the new W. L. Butler headquarters building is completed, at least (Butler’s current HQ is also on the Greystar IV site), we still have a number of months before those businesses would have had to leave. Property owners have the right to do with their property as they see fit (within the confines of what is allowed by the City, of course) but especially for large projects that need public buy-in to gain approval, I see merit in keeping the project site functional for as long as is reasonably possible. I realize that this isn’t always possible—for an existing business the uncertainty of the final closing date, and the difficulty in locating and moving to a new site can complicate things—but the developer can often help out. Or, perhaps a temporary use can be found in the interim. Either would be better than simply idling the property for years on end. That, to me, is just a waste. Without a doubt a great idea to make it easier to avoid wasting space by allowing alternative uses to empty lots. Perhaps a site with postings of sites which are temporarily vacant , like a sub niche. When I was deployed overseas for a few months we got to stay in custom 20 foot shipping containers however the shipping containers were stacked inside a warehouse and connected by metal railings and stairs. Without a doubt I feel cities should start being more amicable towards attractive modular options for temporary commerce and even residential options. No doubt obvious by the many shanty towns popping up all over the bay area, as a result some affordable options are needed. I’ve been following with great interest how some cities are experimenting with reducing homelessness by putting clusters of tiny homes on empty lots. It is still to early to tell how well these experiments are going to pay off, but I’m glad to see that people are really thinking out of the box in an effort to deal with the problem of affordable housing and homelessness. Shipping containers seem to be a great possible solution–thanks for bringing that up. I strongly agree with your point about supporting temporary uses of property while owners pursue project approval. I would love to see Redwood City consider a pilot project of such a concept. SPUR (http://www.spur.org/) Held an awesome panel talk in late 2017 about temporary public and quasi-public uses of real estate during the development process. The SF Planning Department, a large developer, an affordable housing advocate group, and an architect all discussed how the topic of utilizing land for public good while seeking development approval. Example 1: A private development project (https://goo.gl/yujeZq) on Market St. is providing interim affordable housing in the preexisting building and a resource center for individuals who are homeless. In exchange, the planning department signed a memo of understanding that this development application would get priority treatment in the processing pipeline (think faster process timeline, same level of oversight, regulation, and community feedback). The development is also proposing a considerable % of below market rate housing once built. Thanks for the feedback, and thanks very much for the links; this is an issue that I care very much about, and so I’ll be looking into them. An acquaintance of mine owns the Caltrain and Maple lot. He worked really hard to get financing to build the skilled nursing facility. It was supposed to be an acute rehab place where hospitals could send patients who were released from the hospital – not hip replacements or knee injuries but brain injuries, other diseases where people have to learn to walk, swallow, etc. Currently people who need this treatment have to go to San Jose or SF. It is sad with all of the world class medical care we have here that people cannot rehab on the peninsula. This facility would have been full all the time if it could have been built. 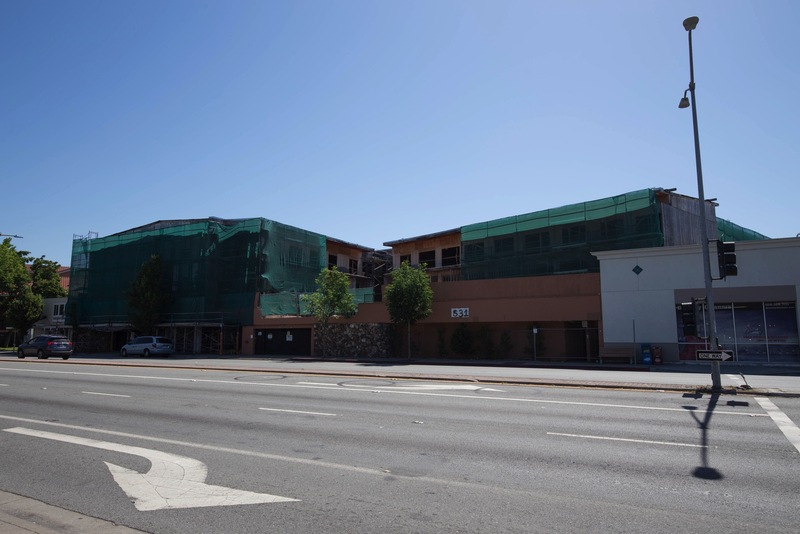 According to his LinkedIn page, former Menlo Park Planning Commissioner Louis Deziel was aiming to open his Maple Street “Lathrop Post Acute Recovery Center (PARC)” in 2015.